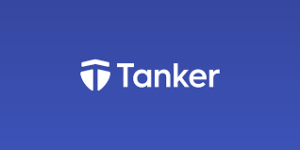 Tanker is an open-source client SDK that can be embedded in any application. It enables developers to leverage powerful client-side encryption, but without performance loss and assuring a seamless end-user experience. Best of all, no cryptographic skills are required. Tanker functions with your existing infrastructure. We don’t store your data and can’t read it. There are no master keys. No impact on user experience, no impact on performance. Your users won’t notice how safe their data has become. All the hard cryptography is abstracted away into simple APIs; a single developer can integrate the SDK within a sprint.